Puteri Tioman is a turtle who is swimming back to Tioman Island off the eastern coast of Malaysia, where she was born some twenty-five years earlier, in order to lay her eggs. This superb picture book focuses on Puteri’s life from conception to her return to the island, as a route to understanding the life-cycle of the turtle and the principally man-made dangers to their survival. Puteri’s individual story is reassuring for young readers. It not only allows author Rossiti Aishah Rashidi to present interesting facts such as the consistency of a turtle egg being “soft like leather but tough”, but it also counterbalances the hard-hitting environmental message, such as turtles getting trapped in abandoned fishing nets and drowning, or mistaking plastic bags for jellyfish, a main food source, so that they “die a slow death from choking”. 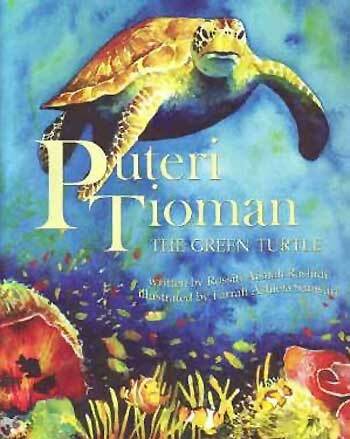 The matter-of-fact tone is well-suited to the book’s young target audience, and by the time children have assimilated the dangers faced by turtles, it will come as no surprise, but will stimulate plenty of discussion, that the book ends with a question mark hovering over Puteri’s return to Tioman Island. “Will Tioman Island be safe for her to lay her eggs?” That discussion is then facilitated by three lists starting with “Did You Know?” facts about turtles and leading to “What Can You Do?” (beginning with the premise that “You do not have to go to the sea to help the turtle”) and “The 3Rs” – “Reduce Reuse Recycle”. Complimenting Rashidi’s writing are Farrah Ashiela Samsuri’s gorgeously rich watercolour illustrations. As well as her life-like portrayal of the turtles themselves, from vulnerable hatchling to leathery adult, she convincingly conveys the contrast between clean and polluted seas. Indeed, the initial impact of Samsuri’s portrayal of the “deep blue sea” around Tioman Island grabs readers’ attention and provides an attractive visual gauge for the turtles’ story. The use of wavy text where the writing refers to turtles swimming is also effective. Puteri Tioman has a strong local Malaysian context, making it very significant to children in Malaysia: but its environmental message is also relevant to children all over the world. Indeed part of the book’s power lies in its potential for helping children realise that their actions on a day-to-day local level wherever they are have an impact on environmental conservation on a global scale. 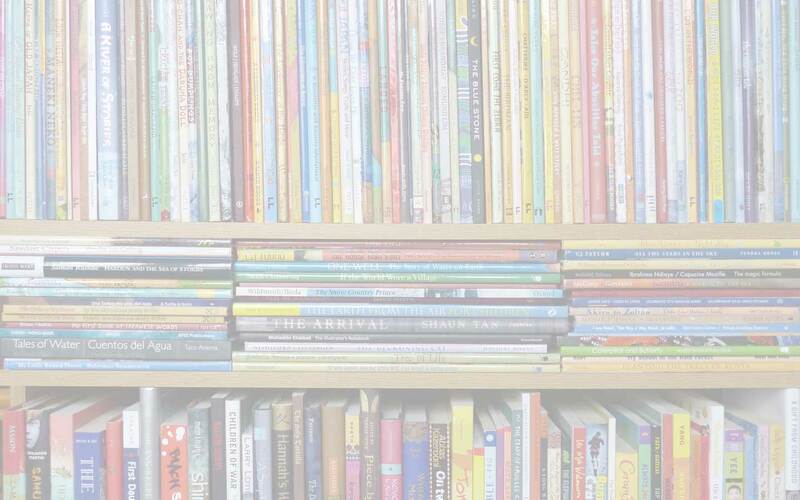 This review first appeared here on the PaperTigers.org website in June 2012.
children's books about conservation and the environment, Farrah Ashiela Samsuri, MWD book reviews, Puteri Tioman: The Green Turtle, RainTree (Malaysia), Rossiti Aishah Rashidi. Bookmark.